Disney has been testing new “Magic Bands” with Disney Resort guests over the past several months as part of the new MyMagic+ program. While the armbands, called MyMagic+ Bands, offer great convenience — they serve as room key, credit card, and park admission ticket for Disney resort guests, the new armbands also signal big changes to the new Disney Fastpass+ program. For regular Disney goers, this means no more “beating the system” and hoarding tickets. (Yes, I will miss the good old days….) Called Fastpass+, the system is meant to make Disney vacations better for resort guests and day visitors alike. The biggest change with the New Disney Fastpass+ program is that park-goers can get only 3 fastpasses per day — and only at one park. Limiting the number of fastpasses, now called Fastpass+, any one person can get means better access to fastpasses for all. Hmmmm….. I can’t think of any others at this point. Disney-goers who plan their days can’t rely on paper fastpasses to see more in less time or to avoid lines at the spur of the moment. Disney-goers with park hopper passes cannot use the New Disney Fastpass+ at multiple parks in a single day. In my opinion this lessens the value of park hopper passes. The New Disney Fastpass+ program now includes more attractions, events and rides offering something for guests of all ages and interests. More options is always better — that’s obvious! Disney-goers can choose Fastpass+ experiences that fit their interests. Of course, the thrill rides are generally most popular, but the parks now offer Fastpass+ for character meet and greets (we used one to see Mickey)! They also offer Fastpass+ for preferred seating at parades and shows which means those most interested get the best “seats” in the house. That’s definitely a perk! Like I said, “More is better.” Perhaps the only disadvantage is for those who want to do four things but can only get the New Disney Fastpass+ to three attractions. Which one is least important? Which one is most worth waiting in line? That’s definitely something to preplan! The New Disney Fastpass+ program allows only one fastpass per attraction per day. This policy allows more people access to the most popular rides. Disney resort guests can preschedule the New Disney Fastpass+ before arrival. Disney resort guests can map out their Disney vacation before going. No more waiting until the last minute or worse — having no plan. Disney is almost always better enjoyed with a plan. How else can you see it all? Disney resort guests get “first dibs” on the most popular attractions and Fastpass+ times. No more running ahead to get the most coveted fastpasses before everyone else. When planning our trip in December, the website crashed repeatedly. It took about 15 hours to schedule our 15 Fastpass+ experiences — yep, about an hour per fastpass. 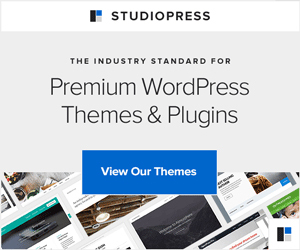 I expect the site will continue to improve and that it will get quicker. Right now, they need to stick to a slow rollout! Those who don’t like to plan, or who like a looser plan, have to watch the clock more carefully. Non-resort guests (who stay off property) cannot plan in advance, but have to use MyMagic+ kiosks near the park entrances to plan their day on arrival. It detracts from the spontaneity or “magic” of the moment. Non-resort guests cannot manage the new Disney Fastpass+ through My Disney Experience on their smartphones, but must return to the MyMagic+ kiosks to make changes. I sure hope this changes! 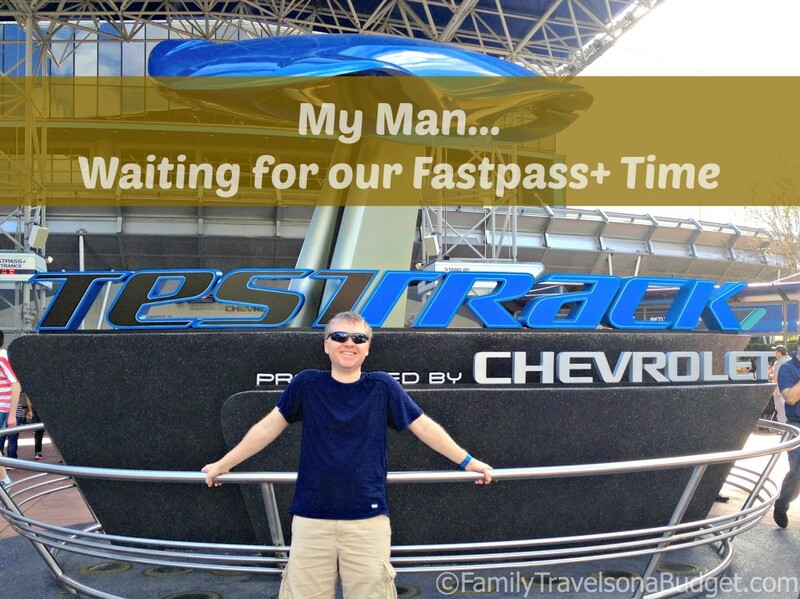 Less noticeable benefits from changes to Disney’s Fastpass+ program. In the summer, large tour groups visit Walt Disney World. Last July, one tour group in particular drove us crazy. It seemed they visited every park we did and beat us to just about every fast pass kiosk, no matter what we tried. Eliminating the kiosks and limiting fastpasses means that large groups can no longer send their guide to collect fastpasses for the 60 people traveling to the detriment of little families like ours. For more information about the new “Fastpass+” system, visit the Disney website. 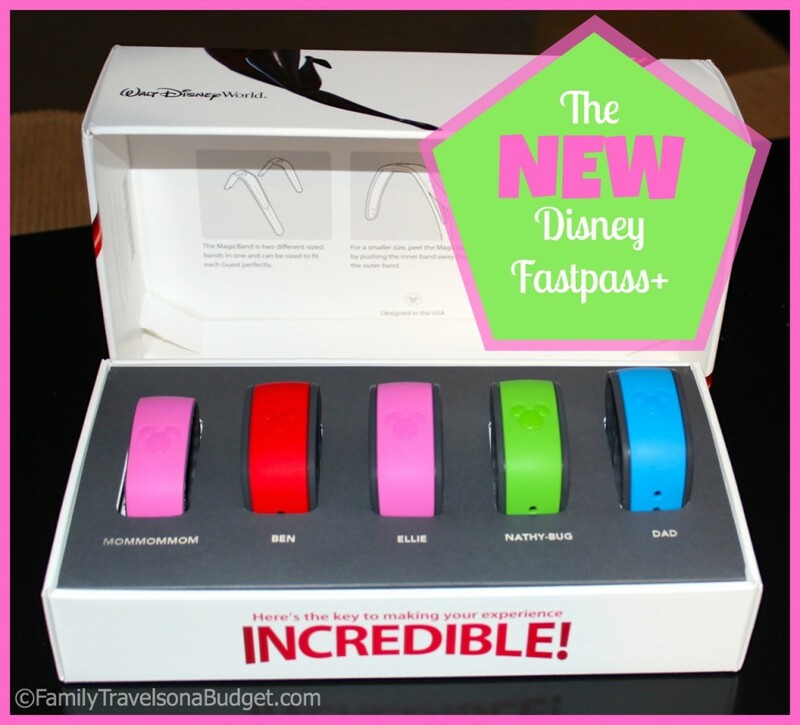 What do you think of the new Fastpass+ system? Is it an improvement or not? Why? 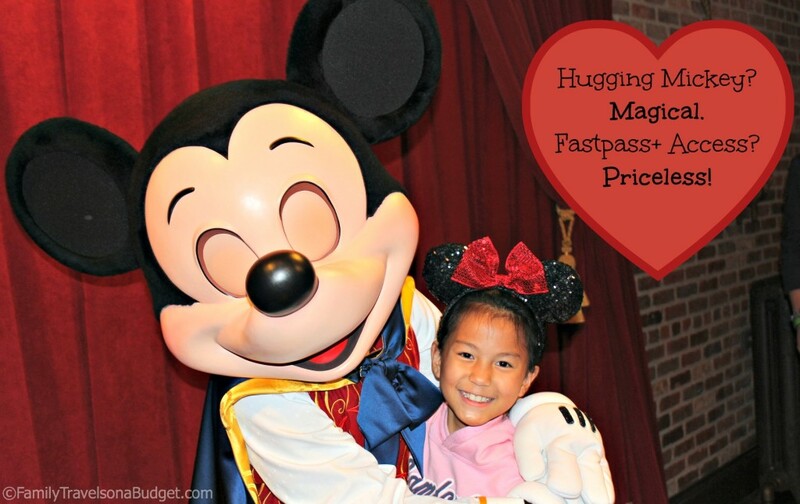 If you’ve used the new Disney Fastpass+ system, do you have any tips to share? So first I just want to say that I am 15 and will be going to Disney next year on a school band trip, so yes I am young, but we have to invest in anything extra at Disney on our own, and honestly I’m pretty confused. I found this a little helpful, but I need some clarifications. For the fastpass+ it mentioned reservations? So does that mean that you can only use the fastpass+ for certain rides, attractions, etc.? If so, is there any upgrade I can get so that I can ride all of the rides? You also mentioned “pre-planning.” I’m 15 so obviously I’m not the person to be asking about anything organized yet! So I would like to know if I could just purchase them at the park? So yes, if you could kindly answer these questions, maybe add additional information I should know? I just don’t want to make a purchase and then be upset about how it didn’t include everything I wanted. Oh, and before I conclude this, how much is the cost for just one person? The fastpass+ program is free to use. It can only be used for 3 rides per day and there are no upgrades at Disney. The instructions at the Disney website will guide you through selecting the rides you want to enjoy. With a band trip, the fastpass+ program might not work so well, unless you know when you will be free to explore the park. If you will be assigned to groups for the day, like many school travel programs, work with the kids in your group to schedule your fast passes together. My best advice, review the park maps before you go so you know how to get around the park easily. I agree. I understand fully the need to plan, but a vacation should be a vacation. I am very apprehensive to use the new system. I think it is overkill. Universal was a dream last year and money well spent for shorter lines. We will see…….. I understand. Completely! The first time using the new fast pass system definitely results in “learning curve” mistakes. I have to say, though, that after recently visiting a Six Flags park, I have never waited as long at Disney — even during Christmas with the new fast pass! The system really does seem to work. It’s still free (I hope that never changes). And, it almost guarantees you’ll be able to enjoy your favorite attractions, maybe even more than once. Just be sure you make selections the moment you can! This system is in place in Disney World not in Disney California correct? Hmm nevermind, I see now that they changed it for Disney California as well. Bruce, glad you found your answer! Thanks for the info — I’m sure others want to know the same information. This new system stinks… live in pennsylvania go to disney world 1 to 2 times a year. I spend anywhere from 8 to 22 days in there parks every year .Disney has taken all the fun out of vacation. Cant wake up in the morning n say looks like its going to rain lets go to this park instead. Also what happens when you get to a park n it looks super busy normally would hop to another park. There has been days where with a little walking n the old fast pass system my longest wait the hole day at magic kingdom for a ride was 20 min. not now. I just wont visit every year now all the fun is gone maybe very 3to4 years.I would rather them charge for the fast pass like universal then give us this crap.When a12 year old kid who loves Disney parks has been their every year of there life doesnt want to go back the system is broken.Just hope they fix it. So diplomatic! You are right, of course. There are benefits and drawbacks to every system. I think, in time, Disney will find a happy balance that pleases most guests. I have not been to Disney in over 10 years (15 to be exact). I have no clue how it all works out now, but I just can’t wrap my mind around the wristbands working as your credit card…are the grown ups’ bands linked to the credit card or the kids’ as well? It has worked well for us this week however we learned the hardway that you must get there early to benefit from the system. On day 5 we planned to take it easy at Epcot and get there at 11:00 AM rather than opening. When we arrived at the FP kiosk you could no longer get a FAST PASS for SOARIN which was the one ride I wanted to do. Also at HS & Epcot, there were 2 different sections of fast pass options. You could pick 1 from the first section and 2 from the other. Often there were 2 rides we wanted from section one, which was disappointing and you would have to decide quickly which one to sacrafice because we didnt want to wait in the 70 minute line for the ride we could not get a fastpass for. P.S. A cast member shared with us that in the summer people wait in line up to 4 hours to ride Peter Pan!!!!! C R A Z Y! Michelle, I helped Dana plan her trip, so I can answer these questions for you! 1. They are staying off property. 2. For day guests (those staying off property), the only way to get fastpasses is at the park, so it’s important to arrive early in the day before they run out of passes. As you prepare, I’d encourage you to know the three rides/attractions that are most important to you before you arrive. It might help to familiarize yourself with the options by visiting the Disney site. For instance, at Hollywood Studios, you cannot get a fastpass for Toy Story Mania, Rock-n-Roller Coaster and/or Tower of Terror. Those are considered prime attractions and you can only get one fastpass for this category per person. If you have additional questions, just ask! When Dana gets home from her vacation, I’ll write another post with her tips for guests staying off property. I’m sure Disney will keep tweaking until they get it working well for everyone. I’ve never been to Disney 🙁 But my sister’s family go once a year, I’m going to tell her about this. But if we did go, I’m sure we would use this, because everything in life is easier with things like these. Thanks for sharing with your sister. Showing up and not knowing the changes would throw off a family that regularly visits. We knew what to expect and still needed a couple days to adjust to the new system.